Uranium is important in the nuclear fuel cycle as both as an energy source and as radioactive waste. Herein, activated carbon (AC) prepared from waste cigarette filters by convenient carbonization and functionalization was chosen as the raw materials for radionuclides adsorption. Batch adsorption experiments showed that AC presented comparable UO22+ adsorption capacity (106 mg g−1) and very outstanding selectivity. The adsorption process accorded with Langmuir model and the pseudo-second-order kinetics model well. 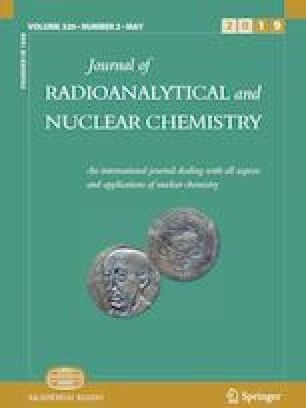 This work combines the waste cigarette filters with the radioactive nuclear treatment materials, which may provide a new strategy for the future treatment of waste cigarette butts. The online version of this article ( https://doi.org/10.1007/s10967-019-06502-z) contains supplementary material, which is available to authorized users. This work was supported by the National Natural Science Foundation of China (21671160, 21601147); the National Key Research and Development Project (2016YFC1402502); the Project of State Key Laboratory of Environment-friendly Energy Materials, Southwest University of Science and Technology (18zxhk04); the Long Shan Talent Project (17LZX306, 17LZXT04).